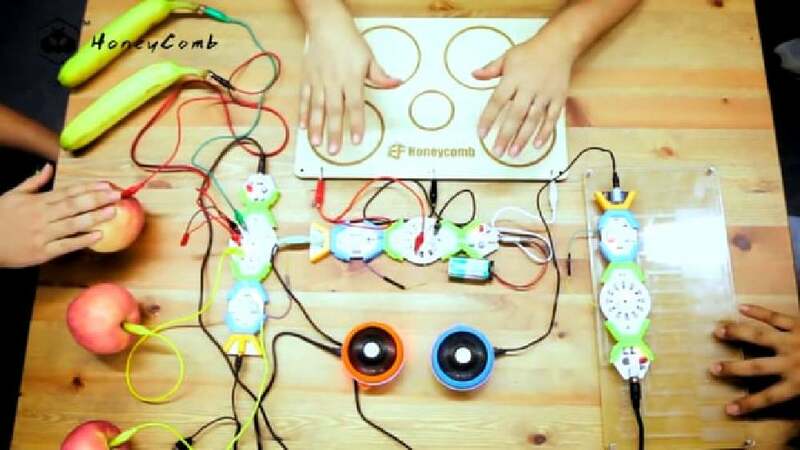 The Honeycomb music kit is a set of playful magnetic blocks with a six-side structure design. Using the principle of electromagnetic induction, it can make all the conductors into sound effects. There are currently 16 kinds of instrument sound effects in the module, which can be arbitrarily switched. In addition, there are unlimited customisable sound effects in the form of MP3-files. It allows playing any sound effect to be triggered by sensors, even without experience in electronics or coding and without requiring screens. The cold metals simply turn into a vibrant tone and let touching art works tell a moving story.